Many thanks to Jo-Anne Rosen for all she does to keep our Sonoma County Literary Update alive and well, and especially for filling in on short notice when I was away last month. I want to extend congratulations to our local writers who’ve had their work published recently. Clara Rosemarda, Phyllis Meshulam, and Rebecca Patrascu all have new poetry chapbooks debuting this summer. Jonah Raskin has a new book out, A Terrible Beauty: The Wilderness of American Literature (scroll down for details about his upcoming reading). And kudos to Dan Coshnear, whose new novella, Homesick Redux, was selected by Fiction Fix guest editor Raleigh Rand to win its second novella award. You can discover more on our Sonoma County in Print page (https://socolitupdate.com/sonoma-county-in-print). Special thanks to Ed Coletti, who keeps our announcements of local writers publishing in literary journals up to date. I also want to put in a plug for our local creative writing teachers, who month after month offer great workshops, writing circles, critique groups, and individual writing consultations. I’ve highlighted just a few here, but I encourage you to explore our website page of Sonoma County Teachers/Consultants (https://socolitupdate.com/sonoma-county-writers-offering-workshops-and-consultations-2/) and our Workshops page (https://socolitupdate.com/current-and-upcoming-writing-workshops/). Sonoma County Poet Iris Dunkle will be teaching a Poetry Writing Workshop at Napa Valley College: ENGL 203 – Poetry Workshop this Fall Wednesdays 6 – 8:50 PM beginning August 19. Local writer and teacher Abby Bogomolny, will be offering a new class at SRJC, English 36: LGBT Arts and Literature. The course studies significant LGBT writers and artists and their works from antiquity to present, including poetry, short stories, novels, plays, cinema, music, biographies, coded texts, and political essays. You can check it out at this link: https://portal.santarosa.edu/SRWeb/SR_ScheduleOfClasses.aspx?Mode=text&TermID=20157&CourseDiscipline=ENGL&Course=25509. SRJC’s English Department has also selected Ursula LeGuin’s The Left Hand of Darkness as the fall semester’s Work of Literary Merit. There will be lectures and panel discussions open to students, faculty, and the general public. For more information, you can check out the department’s website: http://english.santarosa.edu/work-literary-merit. I have two spaces open in each of my Sitting Room Workshops. The Monday Workshop, which begins September 14, focuses on creative revision techniques for poets. The Friday Workshop, beginning September 18, is a reading and discussion of Dante’s Inferno, with creative writing prompts cued to Dante’s work, and an opportunity to present new work in supportive critique sessions. Both workshops run for ten weeks. For more information contact me at tehret99@comcast.net. Here are some other highlights of the literary events coming up this month in our calendar. Monday, August 3, 6:30 p.m. Rivertown Poets: A Muse-ing Mondays August reading features poets Katharine Harer and Maya Khosla, followed by an open mic. Open mic signups begin at 6:00 p.m. 189 H Street in downtown Petaluma. Saturday, August 15, 2:00 p.m. Author Jonah Raskin will read from his new book A Terrible Beauty: The Wilderness of American Literature, which explores the work of major American poets and novelists and environmental writers: Thoreau, Emily Dickinson, Herman Melville, F. Scott Fitzgerald, Willa Cather and more. Sonoma Valley Regional Library, 755 West Napa Street, Sonoma. Saturday, August 29, 7:00 p.m. Reading from Digging Our Poetic Roots (edited by Katherine Hastings), at Sebastopol Center for the Arts. See the Poet Laureate’s News Page for details about this culmination of Katherine’s Poet Laureate Project, and all the upcoming readings she’s scheduled: https://socolitupdate.com/poet-laureates-news/. I have often used this monthly post to recognize great poets and writers who have recently left us. This month, I want to celebrate two writers: Stanley Kunitz, a writer who passed away in 2006 at the age of 100; and James Agee, who passed away in the year of my birth, 1955, at the age of 45. 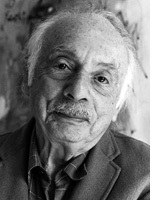 The first time I heard of Stanley Kunitz, it was because a statement of his about poetry caught my attention: “The poem has secrets the poet knows nothing of.” I had been teaching a poem called “The Secret” by Denise Levertov, and my students didn’t understand how a writer could be unconscious of a poem’s intent or meaning. Kunitz’s quote tied in with another profound description of poetry as the “Unsayable Said,” by Donald Hall. In 2000, Kunitz was appointed US Poet Laureate (he was 94! ), and his work became more widely known and celebrated. At the end of this post, I have included one of Kunitz’s poems and a link to the Poets.org website where you can learn more about this shy, visionary, remarkable writer. 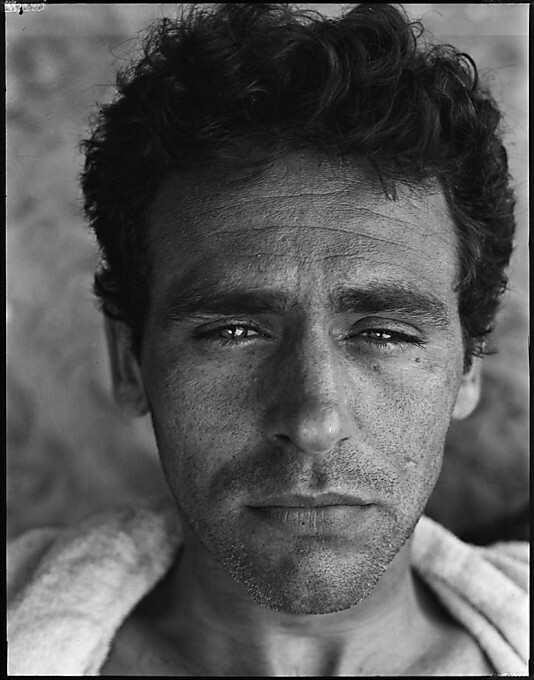 The second writer, James Agee, is someone whose work I have often read about—Let Us Now Praise Famous Men, his account of the Great Depression, and A Death in the Family, published posthumously in 1958, and the work which won him a posthumous Pulitzer. This summer, two coincidences brought his work to my attention. One is the film Night of the Hunter, which I put on my Netflix cue because I was looking for films that came out in the year I was born. The film is a visual poem that is haunting in its fairy-tale, dreamlike exploration of innocence and evil. What I didn’t know was that Agee wrote the screenplay. He was also the screen writer for The African Queen, which I’d also recently rewatched. Then, just this week, a friend read me Agee’s prose poem, “Knoxville: Summer of 1915,” which was, according to the author, written in an hour and a half in 1938, but which wasn’t published until 1958 as the prologue to A Death in the Family. I have also included it here in its entirety—a moving, lyrical evocation of summers past. The composer Samuel Barber set a portion of this to music, in 1947, and I’ve included a link to a Youtube video so you can hear it yourself. From The Collected Poems by Stanley Kunitz (W. W. Norton, 2000). Copyright © 1978 by Stanley Kunitz. We are talking now of summer evenings in Knoxville, Tennessee, in the time I lived there so successfully disguised to myself as a child. It was a little bit sort of block, fairly solidly lower middle class, with one or two juts apiece on either side of that. The houses corresponded: middle­sized gracefully fretted wood houses built in the late nineties and early nineteen hundreds, with small front and side and more spacious back yards, and trees in the yards, and porches. These were softwooded trees, poplars, tulip trees, cottonwoods. There were fences around one or two of the houses, but mainly the yards ran into each other with only now and then a low hedge that wasn’t doing very well. There were few good friends among the grown people, and they were not enough for the other sort of intimate acquaintance, but everyone nodded and spoke, and even might talk short times, trivially, and at the two extremes of general or the particular, and ordinarily next door neighbors talked quiet when they happened to run into each other, and never paid calls. The men mostly small businessmen, one or two very modestly executives, one or two worked with their hands, most of them clerical, and most of them between and forty-­five. But it is of these evenings, I speak. Supper was at six and was over by half past. There was still daylight, shining softly and with a tarnish, like the lining of a shell; and the carbon lamps lifted the corners were on in the light, and the locusts were started, and the fire flies were out, and a few frogs were flopping in the dewy grass, by the time the fathers and the children came out. The children ran out first hell bent and yelling those names by which they were known; then the fathers sank out leisurely crossed suspenders, their collars removed and their necks looking tall and shy. The mothers stayed back in the kitchen washing and drying, putting things away, recrossing their traceless footsteps like the lifetime journeys of bees, measuring out the dry cocoa for breakfast. When they came out they had taken off their aprons and their skirts were dampened and they sat in rockers on porches quietly. It is not of the games children play in the evening that I want to speak now, it is of a contemporaneous atmosphere that has little to do with them: that of fathers of families, each in his space of lawn, his shirt fishlike pale in the unnatural light and his face nearly anonymous, hosing their lawns. The hoses were attached at spigots that stood out of the brick foundations of the houses. The nozzles were variously set but usually so there was a long sweet stream spray, the nozzle wet in the hand, the water trickling the right forearm and peeled-­back cuff, and the water whishing out a long loose and low­curved and so gentle a sound. First an insane noise of violence in the nozzle, then the irregular sound of adjustment, then the smoothing into steadiness and a pitch accurately tuned to the size and style of stream as any violin. So many qualities of sound out of one hose: so many choral differences out of those several hoses that were in earshot. Out of any one hose, the almost dead silence of the release, and the short still arch of the separate big drops, silent as a held breath, and only the noise of the flattering noise on leaves and the slapped grass at the fall of abig drop. That, and the intense hiss with the intense stream; that, and that intensity not growing less but growing more quiet and delicate with the turn the nozzle, up to the extreme tender whisper when the water was just a wide of film. Chiefly, though, the hoses were set much alike, in a compromise between distance and tenderness of spray (and quite surely a sense of art behind this compromise, and a quiet deep joy, too real to recognize itself), and the sounds therefore were pitched much alike; pointed by the snorting start of a new hose; decorated by some man playful with the nozzle; left empty, like God by the sparrow’s fall, when any single one of them desists: and all, though near alike,of various pitch; and in this unison. These sweet pale streamings in the light out their pallors and their voices all together, mothers hushing their children, the hushing unnaturally prolonged, the men gentle and silent and each snail-like withdrawn into the quietude of what he singly is doing, the urination of huge children stood loosely military against an invisible wall, and gentle happy and peaceful, tasting the mean goodness of their living like the last of their suppers in their mouths; while the locusts carry on this noise of hoses on their much higher and sharper key. The noise of the locust is dry, and it seems not to be rasped or vibrated but urged from him as if through a small orifice by a breath that can never give out. Also there is never one locust but an illusion of at least a thousand. The noise of each locust is pitched in some classic locust range out of which none of them varies more than two full tones: and yet you seem to hear each locust discrete from all the rest, and there is a long, slow, pulse in their noise, like the scarcely defined arch of a long and high set bridge. They are all around in every tree, so that the noise seems to come from nowhere and everywhere at once, from the whole shell heaven, shivering in your flesh and teasing your eardrums, the boldest of all the sounds of night. And yet it is habitual to summer nights, and is of the great order of noises, like the noises of the sea and of the blood her precocious grandchild, which you realize you are hearing only when you catch yourself listening. Meantime from low in the dark, just outside the swaying horizons of the hoses, conveying always grass in the damp of dew and its strong green-black smear of smell, the regular yet spaced noises of the crickets, each a sweet cold silver noise three-noted, like the slipping each time of three matched links of a small chain. But the men by now, one by one, have silenced their hoses and drained and coiled them. Now only two, and now only one, is left, and you see only ghostlike shirt with the sleeve garters, and sober mystery of his mild face like the lifted face of large cattle enquiring of your presence in a pitch dark pool of meadow; and now he too is gone; and it has become that time of evening when people sit on their porches, rocking gently and talking gently and watching the street and the standing up into their sphere of possession of the trees, of birds hung havens, hangars. People go by; things go by. A horse, drawing a buggy, breaking his hollow iron music on the asphalt; a loud auto; a quiet auto; people in pairs, not in a hurry, scuffling, switching their weight of aestival body, talking casually, the taste hovering over them of vanilla, strawberry, pasteboard and starched milk, the image upon them of lovers and horsemen, squared with clowns in hueless amber. A street car raising its iron moan; stopping, belling and starting; stertorous; rousing and raising again its iron increasing moan and swimming its gold windows and straw seats on past and past and past, the bleak spark crackling and cursing above it like a small malignant spirit set to dog its tracks; the iron whine rises on rising speed; still risen, faints ; halts, the faint stinging bell; rises again, still fainter, fainting, lifting, lifts, faints forgone: forgotten. Now is the night one blue dew. Now is the night one blue dew, my father has drained, he has coiled the hose.Low on the length of lawns, a frailing of fire who breathes. Content, silver, like peeps of light, each cricket makes his comment over and over in the drowned grassA cold toad thumpily flounders.Within the edges of damp shadows of side yards are hovering children nearly sick with joy of fear, who watch the unguarding of a telephone pole. Around white carbon corner lamps bugs of all sizes are lifted elliptic, solar systems. Big hardshells bruise themselves, assailant: he is fallen on his back, legs squiggling. Parents on porches: rock and rock: From damp strings morning glories : hang their ancient faces. The dry and exalted noise of the locusts from all the air at once enchants my eardrums. On the rough wet grass of the back yard my father and mother have spread quilts. We all lie there, my mother, my father, my uncle, my aunt, and I too am lying there. First we were sitting up, then one of us lay down, and then we all lay down, on our stomachs, or on our sides, or on our backs, and they have kept on talking. They are not talking much, and the talk is quiet, of nothing in particular, of nothing at all in particular, of nothing at all. The stars are wide and alive, they seem each like a smile of great sweetness, and they seem very near. All my people are larger bodies than mine, quiet, with voices gentle and meaningless like the voices of sleeping birds. One is an artist, he is living at home. One is a musician, she is living at home. One is my mother who is good to me. One is my father who is good to me. By some chance, here they are, all on this earth; and who shall ever tell the sorrow of being on this earth, lying, on quilts, on the grass, in a summer evening, among the sounds of night. May god bless my people, my uncle, my aunt, my mother, my good father, oh, remember them kindly in their time of trouble; and in the hour of their taking away.After a little I am taken in and put to bed. Sleep, soft smiling, draws me unto her: and those receive me, who quietly treat me, as one familiar and well-beloved in that home: but will not, oh, will not, not now, not ever; but will not ever tell me who I am.